The article considers works execution organization at reconstruction and renovation of residential and public buildings for embedded systems with usage of slabs lifting method at restrained urban conditions. The paper suggests usage features of the slabs lifting method at building reconstruction conditions. The technology of reconstruction with the usage of slabs lifting method allows to refuse practically the use of lifting cranes and to reduce significantly (up to 50%) the required building area compared with the lifting crane construction methods of embedded structures. It allows to perform the reconstruction without restriction of traffic on adjoining streets and to perform construction in restrained urban conditions. 2. Осипов А. Ф. Особенности объемно-планировочных и конструктивных характеристик реконструируемых жилых зданий г. Киева / А. Ф. Осипов, С. Ф. Акимов // Строительство и техногенная безопасность. – 2002. – Вып. 6. – С. 260 – 265. 3. Осипов А. Ф. Возведение монолитных перекрытий при реконструкции жилых зданий / А. Ф. Осипов, С. Ф. Акимов // Нові технології в будівництві. – К., 2005. – № 1. – С. 46 – 52. 4. Осипов А. Ф. Реконструкция жилых зданий. Методы возведення монолитных перекрытий / О. Ф. Осипов, С. Ф. Акимов // Новини науки Придніпров’я. – Дн-к, 2006. – № 3. – С. 9 – 15. 5. Осипов А. Ф. Разработка организационно-технологических моделей замены перекрытий в зданиях исторической застройки / А. Ф. Осипов, С. Ф. Акимов // Строительство и техногенная безопасность. – 2009. – № 29. – С. 101 – 108. 6. Воскобійник О. П. Особливості технології виконання робіт при реконструкції будівель за допомогою вбудованих систем / О. П. Воскобійник, Є. В. Дяченко // Збірник наукових праць. Серія: Галузеве машинобудування, будівництво. – Полтава, ПолтНТУ, 2012. – Вип. 33. – С. 43 – 48. 7. Caldwell M. The Fort Stanwix Administrative History: A Superintendent‘s Perspective / M. Caldwell // The Public Historian. – 2009. – Vol. 31, No. 2. – P. 55 – 62. 8. Korkmaz E. Retrofitting Deniz Palace historic building for reusing / E. Korkmaz, M. Vatan // Intern. journal of electronics; mechanical and mechatronics engineering. – İstanbul, 2013. – Vol.2-3. – Р. 269 – 278. 9. Korkmaz E. Research on Techniques Using For The Retrofitting Of Historical Masonry Structures – Case Study Deniz Palas Building / E. Korkmaz, M. Vatan // CHRESP: 8th EC Conf. on Sustaining Europe’s Cultural Heritage (10-12.11.2008). – Ljubljana, Slovenia, 2008. – P. 18 – 21. 10. Guh T. J. Seismic Retrofit of Historic Building Structures / T. J. Guh, A. Altoontash // 8th U.S. National Conf. on Earthquake Engineering (18-22.04.2006). – San Francisco, California, USA, 2006. – P. 70 – 75. 11. El Gawady M. A Review of Conventional Seismic Retrofitting Techniques for URM / M. El Gawady, P. Lestuzzi, M. Badoux // 13th Intern. Brick and Block Masonry Conf. (4-7.07.2004). – Amsterdam, 2004. – P. 78 – 84. A. Smith, T. Redman // EWB-UK Research Conf., The Royal Academy of Engineering. – London, 2009. – 315 p.
13. Drury P. Conservation Principles, Policies and Guidance for the Sustainable Management of the Historic Environment / P. Drury, A. McPherson // English Heritage. – London, 2008. – 250 p.
14. Holland A. G. The Reconstruction of Historical Buildings / A. G. Holland. – Virginia Commonwealth University, Richmond, Virginia, 2011. – 120 p.
Dyachenko E.V. Організація виконання робіт при реконструкції та відновленні будівель за допомогою методу підйому перекриттів / E.V. Dyachenko, Yu.V. Drizhyruk, O.E. Zyma, LazarievD.М. 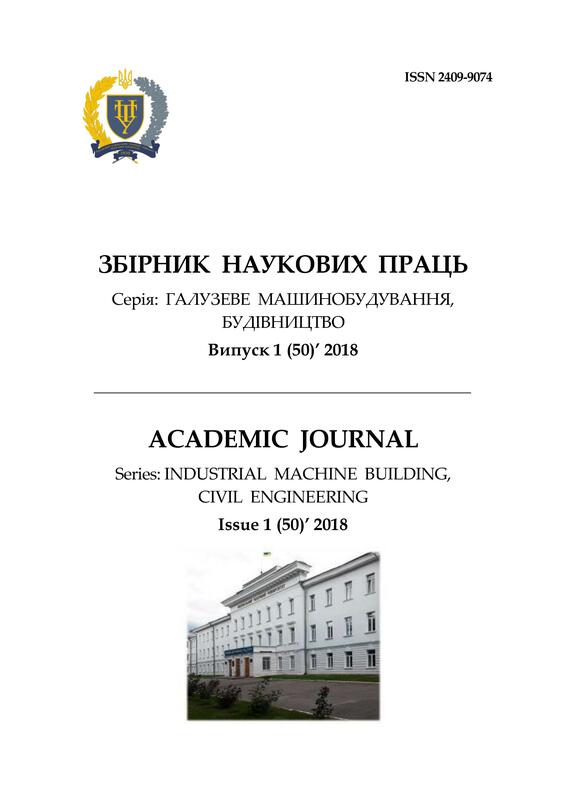 // ACADEMIC JOURNAL Series: Industrial Machine Building, Civil Engineering. – Полтава: ПНТУ, 2018. – Т. 1 (50). – С. 246-252. – doi:https://doi.org/10.26906/znp.2018.50.1082.